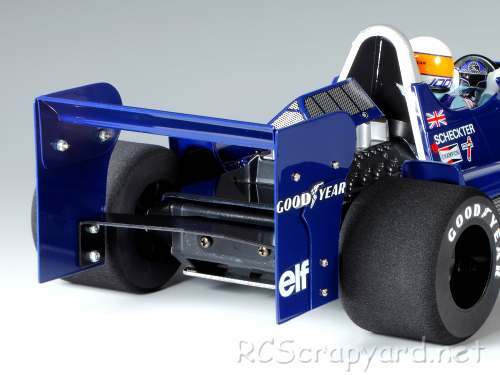 47359 • Tamiya Tyrrell P34 1976 Japan Grand Prix Special • F103RS • (Radio Controlled Model Archive) • RCScrapyard. 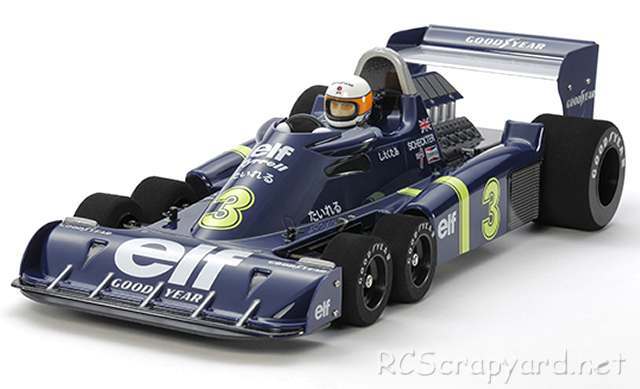 Released by Tamiya on July 27, 2017, the 2WD Tyrrell P34 1976 Japan Grand Prix Special, with the bodyshell paint scheme that was used for the Japan GP in 1976, came with a number of optional hop-ups, including: #53176 Friction Damper Grease, #53901 TRF Special Damper, #54138 Low-Friction Pads, #54154 Carbon Reinforced F Uprights, #54358 Torque-Tuned Motor, Hi-Torque Servo Saver and Sponge Tires. The Tyrrell P34 was the first and only 6 wheel Formula one car and was unveiled by Tyrrell in 1975. Tamiya have reproduced this popular model a number of times. 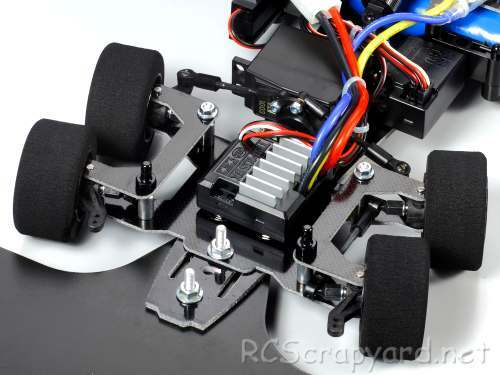 This Special Project version is on a special version of the F103RS chassis. 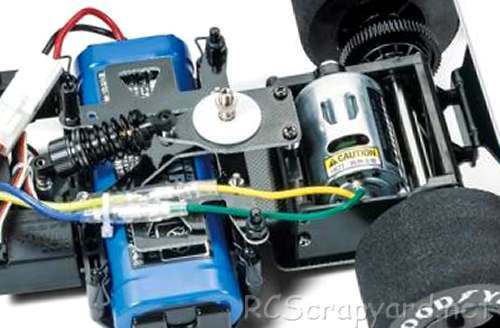 Basically, the F103RS chassis is a moderately upgraded F103. Upgrades include, to reduce weight, the metal damper has holed drilled in it. 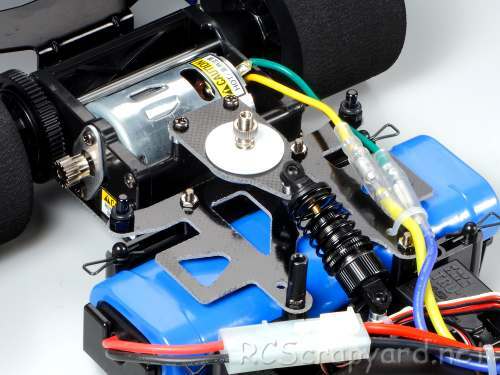 The best of the upgrades was the inclusion of a knurled nut adjuster for the friction plate damper and of course, for this model, the 4-wheel steering system.